Pleasant surprises. Exceptional training and support. 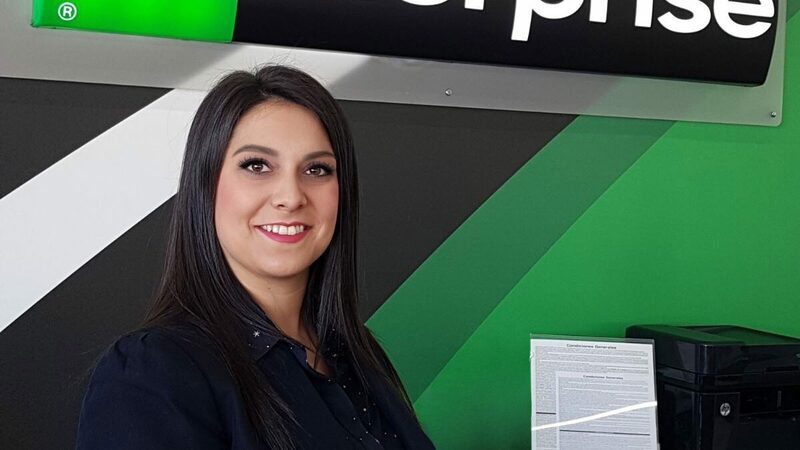 Laura T. has come to appreciate both these aspects of her everyday work environment as an Assistant Manager at the Enterprise home city branch in Móstoles, Spain. As graduation day approached in May 2017, her Group Manager asked an unexpected question: “Laura, what do you want to do in the future?” Laura realized she’d come to an important crossroads. Choosing a career at Enterprise was “real life – not a dream” like pursuing a potential position in the healthcare field. Not only that, but “they trusted me” to succeed at the company. After signing on to become a full-time employee, the next door opened. Laura’s Area Manager encouraged her to take part in a new opportunity – participating in the country’s recently launched Management Trainee program. Led by Spain’s Talent Development Manager, Carlos F. and Talent Acquisition Manager Maribel O., colleagues from across the world – Deb. S and Kayla G. from the Philadelphia group, Simon C. from the UK group, and the Corporate EU HR staff – collaborated to customize MT support materials for the local market. Not only did the program provide personal growth for Laura, co-workers benefited from her training, too. “I felt more secure when making decisions, and they relied on me when they weren’t sure how to handle difficult situations. I felt useful,” she said. All that translates to an improved customer experience, Eduardo notes. Following a five-participant pilot launch in late 2015, more than 100 employees have completed the MT program in Spain – including Laura, last September. The success Spain’s MT program is a critical cog in the company’s strategy for growth, according to Eduardo. You can count Laura among those who truly get excited at the prospect of that career path.